Hope you will have a sparkly evening! Time: ~5 hours but only during the commercials while watching movies. I love sparklers, I got a couple from my friends that I will light up today! So this is the last drawing of the year. 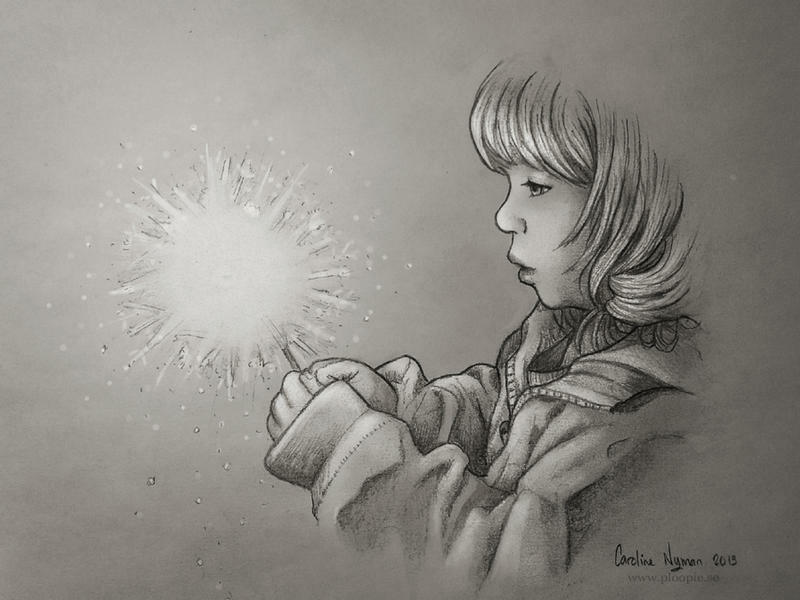 Just a simple little drawing or sketch of this adorable little girl in photo I had in my inspiration folder.